The Year of the Witch is here! Freshly signed and enspelled, copies of my new book will be flying out from the Newark post office forthwith. If you too would like a signed copy (complete with personalized spell), you can purchase one here (use the Buy Now button). A Plague of Shadows Book Launch — Celebrate the publication of A Plague of Shadows with the Written Remains Writers Guild. Readings, Prizes (including a free copy of The Year of the Witch), Food and Drink, Music, Fun, and Dark Arts Gallery Exhibit! Newark Arts Alliance. 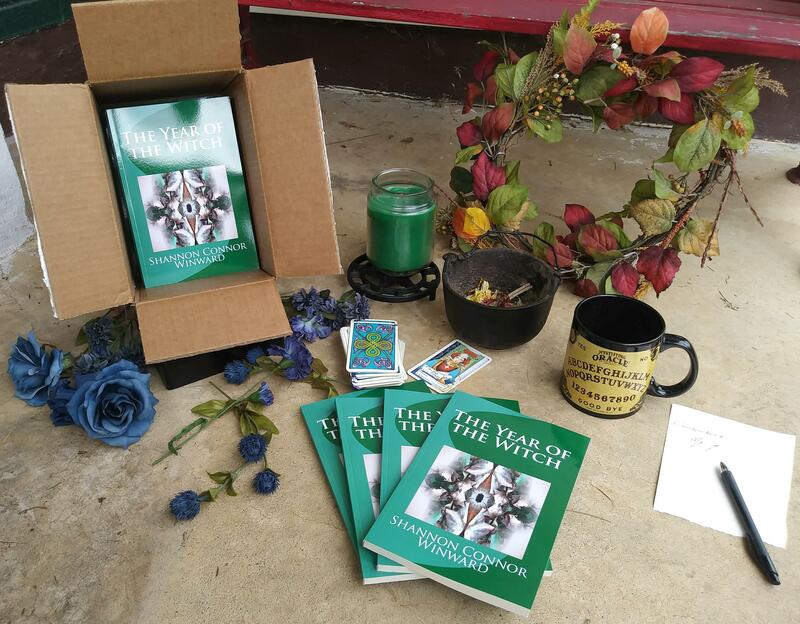 Spelling Our Voices: The Power of Writing Magic and Fiction Witches — A Written Remains Get Out and Write workshop featuring Shannon Connor Winward (me!) at Hockessin Public Library. Hockessin Art & Book Fair — A celebration of local indie authors and artists at the Hockessin Community Recreation Center. Come visit “The Poets’ Corner” Shannon Connor Winward (also a featured reader), author of Undoing Winter (Finishing Line Press) and The Year of the Witch (Sycorax Press) and Lisa Lutwyche, author of A Difficult Animal (Saddle Road Press).